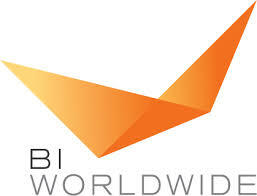 BI Worldwide is an agency providing strategy expertise. Using the principles of behavioral economics, BI Worldwide works with enterprises to develop measurable sales incentive, customer loyalty, employee engagement and event solutions that keep your company energized, inspired and moving forward. BI Worldwide consultants help to make it simple and straightforward for enterprises to optimize the channel so it works. Be it seeing the benefit of more from B2B loyalty programs or reseller incentive programs, BI Worldwide will help turn your channel into a network of your best brand ambassadors. Customer Loyalty consultants at BI Worldwide focus on driving desired behaviors, optimizing each phase and cultivating real emotional loyalty — no matter what lifecycle stage your customers are in. Employee Recognition experts at BI Worldwide help create a powerful employee recognition and rewards program that inspires your employees to love what they do and the brand they do it for. BI Worldwide will help bring employee value proposition to life through on boarding programs, employee and manager training, employer branding, and recognition and awards. Events consultants from BI Worldwide provide full-service event management teams creating engaging, memorable meetings and events that go off without a hitch and deliver on your objectives. BI Worldwide services include everything from big-picture strategy to meticulous execution. Sales consultants at BI Worldwide help your sales team get the right foundation: information, content, tools and confidence. Give them the support they need to connect with customers and sell more effectively.